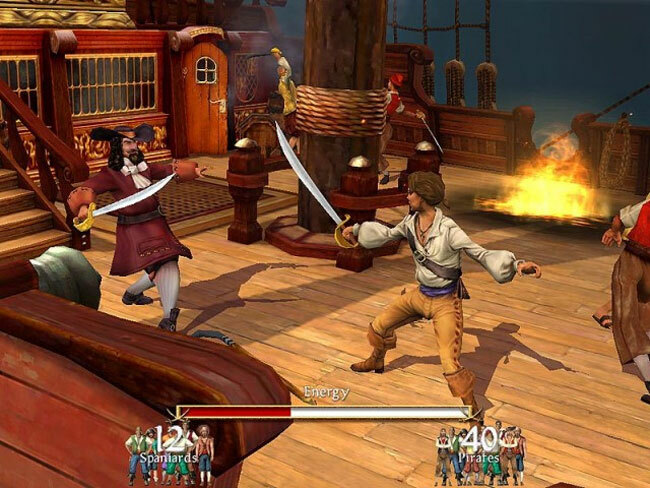 If you enjoy a good Pirate game, you will be pleased to know that Sid Meier’s Pirates game has been refashioned has just landed on the iPad and iPad 2 and is now available to download from the iTunes App Store. Within the game you get to captain one of 27 fully customisable ships as you descend upon unsuspecting ports to amass a motley crew of seafaring pirates. Once you have sorted your crew you can then set sail for adventures collecting hidden treasure maps, undertake daring missions and courageous rescues using the included minigames, such as Sword Fighting, Ship Combat and Dancing. There are also a few features that are specific only to the iPad 2 that include improved graphics and visual effects together with the ability to customise your own picture using the iPad 2 camera. You can now download the new Sid Meier’s Pirates iPad game from the iTunes App Store for $3.99.